I am after my placement unfortunately couldn't find it many of centres says we need resume and cover can anybody help me how to make resume for placement . Last edited by Lorina on Fri May 15, 2015 3:36 am, edited 1 time in total. Qualifications - you could mention you are currently studying Diploma and include the year you started e.g. 2014 - Present. You could also add any other qualifications. Work Experience - here you could add your previous job experiences starting from the most recent. Add your position, the name of the company the date you started and finished. Skills and Interests - here you could mention any skills you have such as speaking, reading or writing in another language etc. This should only be brief and only put the ones that could benefit you for this position. In regards to writing a cover letter you should keep it brief and write exactly what you're after so when a director reads over it they know what you're looking for. Write an introduction of yourself and in your case you're looking for work placement to complete your Diploma qualification. You can also include that you are eager to learn, be a supportive member to the team and interesting in learning further through hands on experience (something like that anyway). 1. Resume length: The length of the cv should be kept to at least 2 pages. It is advisable to be concise and clear with all the details that you're trying to provide. 3. Include points on how you used your skills to provide solution to any problem that you faced. 4. 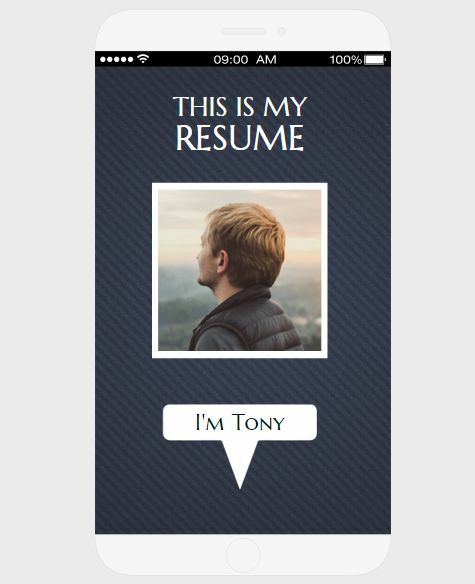 Update your cv: try to give the 'current' details, like your new contact number or address etc. 5. Including references is very important too, as it will add a bit of weight to your application and thereby increase your chance of landing that job. These are few of the basic tips that are followed. And, in addition to this bring in some photos if necessary. Getting some professional help will be good if you are uncertain about your writing skills. You can try to send this emerging animated resume to impress your coming boss!